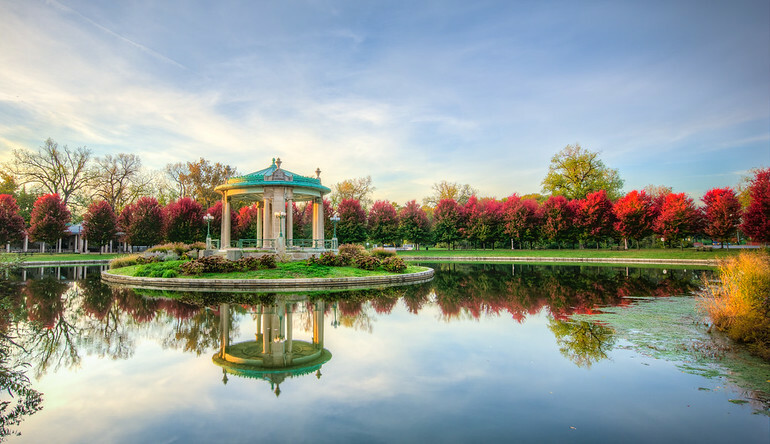 An early walk in St. Louis’ Forest Park can be rewarding. This is the Nathan Frank Band Stand in front of what is known as the Muny Opera, an open air theater. This is a favorite area because there is so much to see within a few hundred feet.